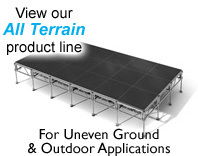 ATTN ALL US DEALERS: Please call for a freight quote, NO free freight on ALL TERRAIN Staging. 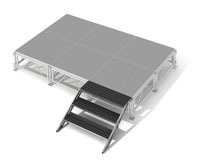 Watch our All Terrain video and see how our stage system can adapt to all challenges and will let you reach new heights. 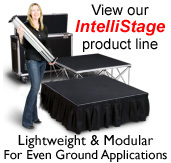 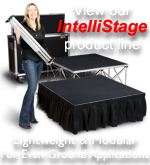 To Learn more about our All Terrain Staging System please visit our FAQ and About pages.